Iglu has undergone a remarkable evolution over the past nine years, as our cherished company pursues its vision to become Southeast Asia’s leading expat community of digital professionals living and working in the Kingdom of Thailand. 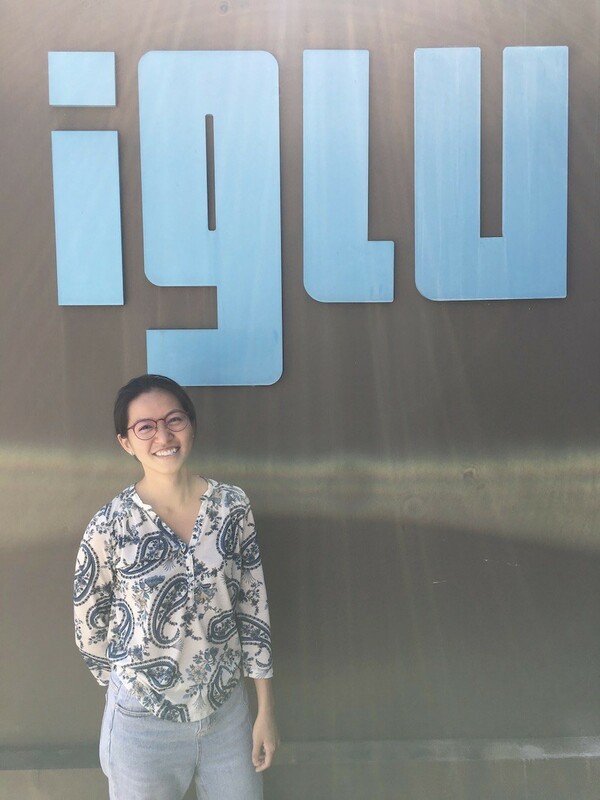 For the better part of the last year, I’ve been absorbing Iglu’s history, culture and governance as the company’s in-house Chief Operating Officer. It has been a sincere joy to embrace Iglu’s community and to experience Thailand’s endless beauty. It’s for these reasons, I’m humbled to announce, as of November 1st, 2018 I’ve been appointed Iglu’s new Chief Executive Officer (CEO). During this leadership transition, I want to take time to connect with you to appropriately introduce myself and ensure you understand Iglu remains in the capable hands of many hardworking professionals. I was born in Taiwan and spent 17 years studying and working in the United Kingdom. I graduated from Imperial College London and Cambridge University before entering the world of data analytics and, subsequently, the startup scene in London. Through my experience of growing up in the East and developing in the West, I was driven to explore ways through which different cultures and ideas collaborate together. By happenstance, I came across our great company during my travels and was inspired by Iglu’s founder and my predecessor, Ozzi Jarvinen. It was his clear vision, to create a digital community without borders, that led me to collaborate and develop in Thailand. Today, I’ve been given an opportunity to take Iglu into its next big iteration, side-by-side with Iglu’s skilled, hardworking and experienced internal staff. One of my primary focuses is to further build passionate, local communities within our international group of professionals and Thai nationals working within the Ngaai program. The purpose of championing this approach is to ensure we’re all developing and exchanging new ideas to further innovate our individual and collective growth. It benefits our company, it benefits Thailand and, above all else, it benefits you – the talented professionals of Iglu. Through this growth, we will see more synergy in our communities. You can expect a significant boost in social events, better communication both internationally and internally, a higher quality of customer service, more advanced and accessible office spaces, and further projects and financial opportunities for international and Ngaai employees. Together, we will continue to shape Iglu as a thought-leader in digital, innovation and, more specifically, the international remote working space. We will support people in our communities to connect, develop and realize their full potentials. The next few months will see big things on the horizon! Before 2018 is complete, the Bangkok office will be experiencing a significant upgrade with an all-new office space located in the Trendy Building in downtown BKK. The new space will accommodate more people, quieter meeting rooms and more social spaces to get-to-know your fellow talent. Then, in early 2019, we will see our long-awaited, brand-new, head office open its doors in Chiang Mai. This beautiful headquarters will aim to achieve all of Iglu’s original desires to make an immersive space built around community events, daily activities, comfortable work-environments, and the country’s most connected group of talented, digital professionals. Finally, I’m confident we are about to experience a noticeably positive transformation in our beloved company and your feedback will be integral in our growing success. I’d like to express a sincere desire to maintain transparency in what we do, moving forward. So, as the newly appointed CEO, I encourage you to ask questions, provide feedback or even praise fellow staff achievements in our digital suggestion box. But more so, please feel free to email me directly or speak with me when you see me walking around the Chiang Mai, Bangkok or Phuket offices. My ‘door’ is open to your feedback. We only get better, together. Thank you for your continued support with our expanding community – and, I’m eager to continue cultivating and flourishing alongside you inside this beautiful Kingdom of Thailand.